Ron joins Rayanne again to continue the conversation in Episode 3 of a four-part series to talk about how to get your employees, teams, or organizations to work together for the good of the whole with a focus on Relationship Intelligence. Ron is happy to share everything he knows — you can visit his website to learn more and download his whitepapers, with no commitment or email required. Is building work relationships a waste of time? What does it look to have an effective relationship at work? Do performance evaluations have an impact on teamwork? The first 3 people to tweet @HRLatte with your favorite part of this series will receive a free copy of Ron’s book, Building Organizations that Leap tall Buildings in a Single Bound. Ron joins Rayanne again to continue the conversation in Episode 2 of a four-part series to talk about how to get your employees, teams, or organizations to work together for the good of the whole with a focus on Emotional Intelligence. What are emotions and how do they impact our work? The first person to tweet @HRLatte with your favorite part of this episode about Emotional Intelligence will receive a free copy of Ron’s book, Building Organizations that Leap tall Buildings in a Single Bound. 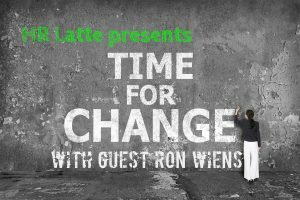 Ron joins Rayanne in this first episode of a four-part series to talk about how to get your employees, teams, or organizations to work together for the good of the whole. What are Emotional, Relationship, and Corporate Intelligence? What is the Knowledge Economy?